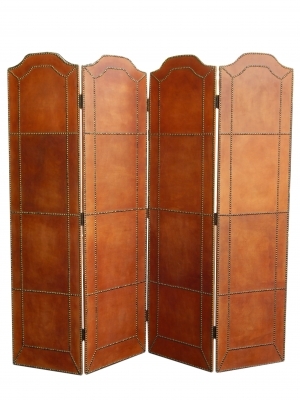 Caramel colored leather folding screen with studs. H 21 1/2 in.W 9 1/2 in.D 9 1/2 in. 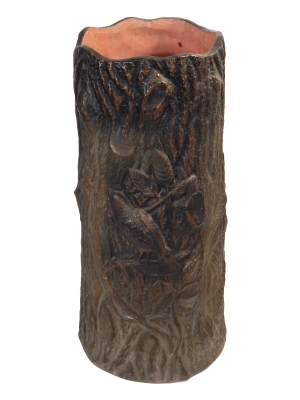 H 72 in.W 72 in.D 3/4 in.